View the complete playoff brackets here. Please review the rules; several changes have been made for the 2019 season, including pitch counts, lineup cards and clarification on bat rules. Additionally, please remember that one defensive coach is permitted on the field, but must remain within 6 feet of the dugout entrance/door. When school is in session, the Brook Run Park Baseball Fields are closed until 4 p.m. Please help us keep the fields in top condition! No metal cleats are allowed. No sunflower seeds, shelled peanuts, gum, tobacco or alcohol allowed on the fields, in the dugouts or in the specatator area. No food or candy on the fields or in the dugouts. No dogs on the fields or in the dugouts. No beverages or liquids other than water in the dugouts or on the fields. To avoid receiving a parking ticket, please do not park on Barclay Drive or on the curbs (marked as fire lane) behind the West Field. The primary parking lot is at Peachtree Charter Middle School, 4664 N Peachtree Rd, Dunwoody, GA 30338, which is right next to the fields. The 14U Gold Diablos are currently looking to add a pitcher to their team and the 14U Maroon Diablos are seeking a catcher. The season runs through early July. More information available on the Diablos website. 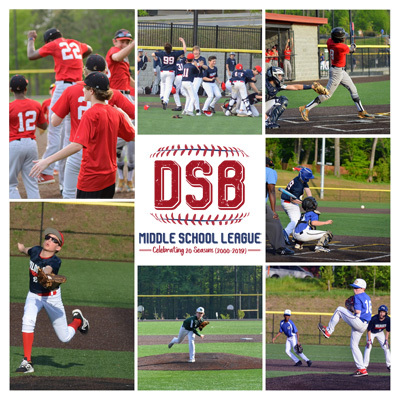 Stay up-to-date with the latest news and happenings from DSB by following us on social media! IMPORTANT: Rules for Artifical Turf field and spectator area. No metal cleats are allowed. Players must use plastic cleats, turf shoes or tennis shoes. No gum, seeds, or shelled peanuts on the field and spectator area.